Through December, Two Guys Smoke Shop (2guyscigars.com) held a 12 Days of Christmas sale offering extreme discounts on all sorts of cigars. Each day I received an e-mail notifying me of their 24 hour offering. The majority of the days, the cigars were not anything I was interested in. But one evening as I was crawling into bed I decided to take a look at what sticks were up for grabs for cheap. The only thing mentioned in the e-mail was Room 101 Cigars. Seeing Room 101 surprised me to say the least but it also made me a bit skeptical. I figured the only Room 101 cigars that would be discounted so heavily were the ones that weren’t worth buying. Opening the link to the site I found boxes of Room 101 Serie HN, Namakubi, and San Andres going for $59. I couldn’t believe it! So the first thing I did was close my phone and went to sleep. The following morning I got out my phone pulled open the same link only to find the majority of the vitolas in each line sold out. 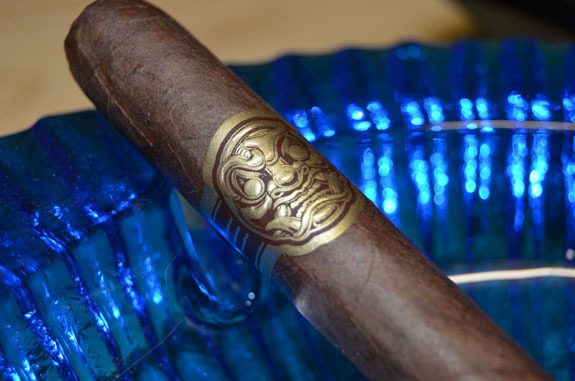 However, there were a few boxes of the San Andres 213 and the Roxxo Namakubi left. Waiting no longer I snatched both boxes up for a $100! 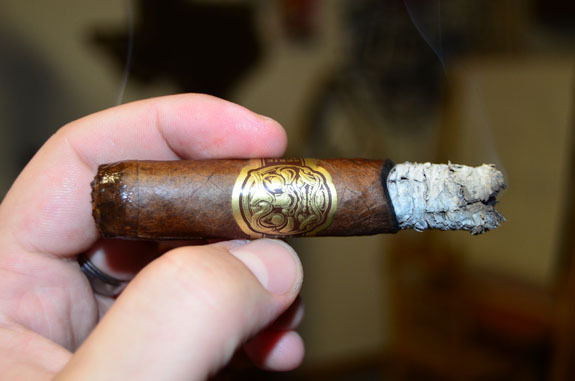 After smoking through a handful of the San Andres, I figured it was time to do a full review of the stick. 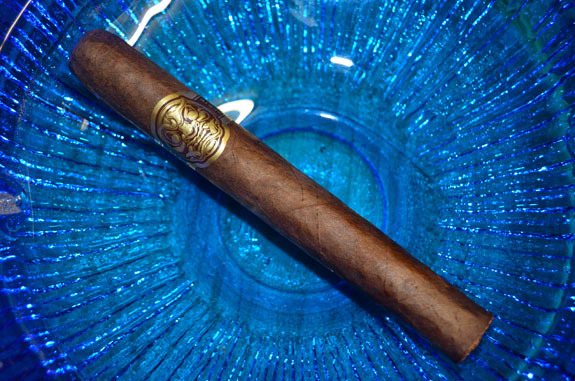 The San Andres (Serie SA) is by no means a new offering from Room 101. It has been on the market for almost two-years but it wasn’t until the end of 2013 that I had opportunity to light one up. Produced in Honduras at Camacho’s factory, the San Andres is available in five vitolas: Papi Chulo (4 by 42), 305 (5 by 50), 214 (5 1/2 by 44), 615 (7 by 48), and 808 (6 by 60). 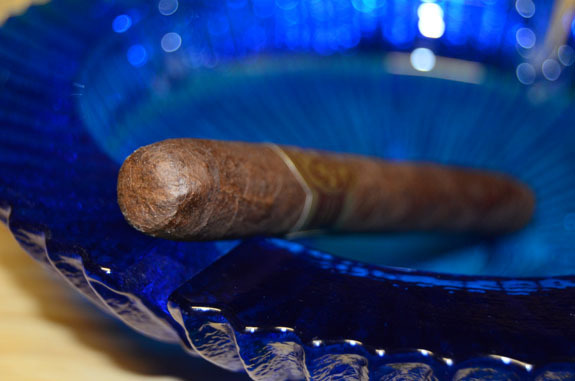 The medium brown San Andres Maduro wrapper is consistent in color, fairly bumpy, and small veins can been seen scattered down the leaf. As I gently press down the cigar I do not come across any soft spots on this firmly filled stick and, to the touch, the cigars feels velvety smooth. The natural leaf does not seem to contain many oils. The smell of the wrapper is pungent with vinegar, manure, and cedar aromas and sweet cedar notes are found on the foot. 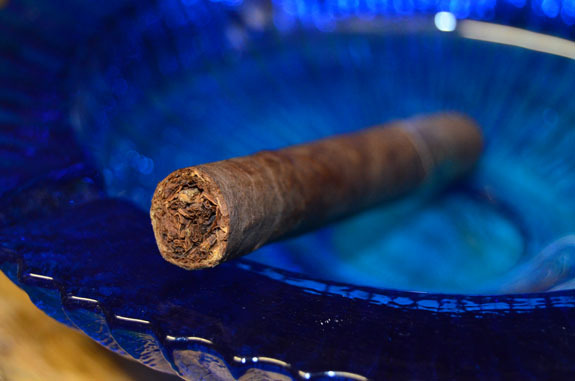 Upon clipping the cap with a double guillotine cutter, the cold draw highlights rich tobacco with the same sweet cedar off the foot aroma and some cinnamon spice. Instantly, I am able to tell that I am smoking San Andres tobacco, however, I am having a hard time figuring out or at least communicating what aspect the profile highlights the Mexican tobacco. The smoke is very savory with deep notes of cedar, leather, some saltiness, and spice. The Serie SA delivers a mouthful of thick smoke with each draw. The light ash being formed is holding well past an inch and the eyeliner burn line is right on. 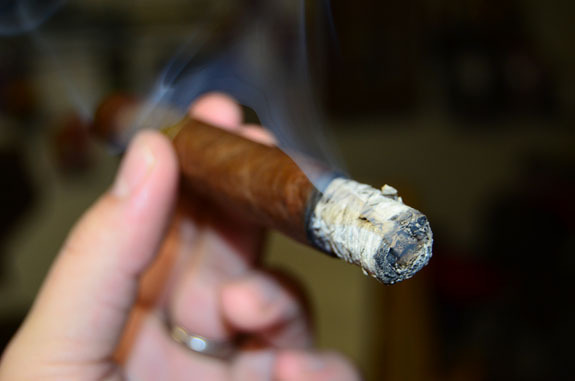 The 213 vitola is a great size that feels comfortable in both the hand and mouth. The cedar and saltiness are at the forefront of the flavor profile as I make my way into the second third. The cedar notes have a lot of depth and complexity in and of itself. The spice and leather seems to have calmed but the retrohale is a different story. The pepper on the retrohale is sharp and my eyes may have teared up just a little. The profile has become much richer and some sweetness seems to be showing its head. Possibly a cocoa-like sweetness. There is nothing interesting to report on with the ash or burn, which is a good thing. The cedar continues to be the core of the profile but some change-ups are occurring every few puffs. I find a dry, shallow cedar on one draw and then some moist, deep earthy cedar notes on the next. The cocoa has not developed into anything more thus far but there is still some underlying sweetness. Maybe more similar to a light sugarcane sweetness. Some charred notes have found their way into the profile as I approach the final inch and the smoke is a bit warm causing me to extend the time between each puffs. One worry I have with a small ring gauge sticks is overheating due to smoking too fast. Maintaining my regular rate, I did not encounter any heat in the first or second thirds, but the last third did present some charred notes and a small amount of heat making me slow my roll. Once I slowed my smoking pace, the smoke cooled and the enjoyable rich cedar finished off the experience. I really enjoyed the 213 San Andres and it may be the first cigar I have smoked that utilized a natural San Andres leaf. 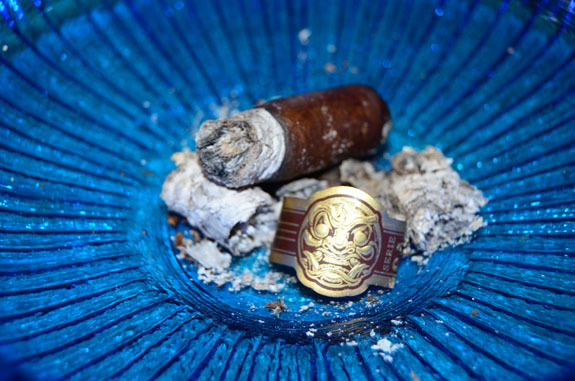 The San Andres tobacco still had its distinct characteristics but did not overshadow the rest of the blend that seems to take place with cigars that have San Andres Maduro wrappers. There was absolutely no babysitting this stick. Not a single touch up was needed and no ash dropped in the lap. I can highly recommend this cigar and for a regular price under $6 this is a stick that will remain in my humidor for a while. ← Previous Story Sindicato HEX release = Free cigar? Thanks Jeremy. I’ve been meaning to grab a couple of these to try, but always seem to forget. They will be on by radar now, especially if I can wangle the same $2 per that you did, and the size is right up my alley. 😉 Great camera work!